Family members of İbrahim Halil Özyavuz, a medical doctor who was jailed in May over alleged links to the Gülen movement, said that Özyavuz did not commit suicide as previously reported but rather died after he was subjected to heavy torture by police officers while he was in pretrial detention. Turkish media reports had said Özyavuz attempted to commit suicide on June 1 in Silivri Prison and died on June 3 in the intensive care unit of Haseki State Hospital in İstanbul. 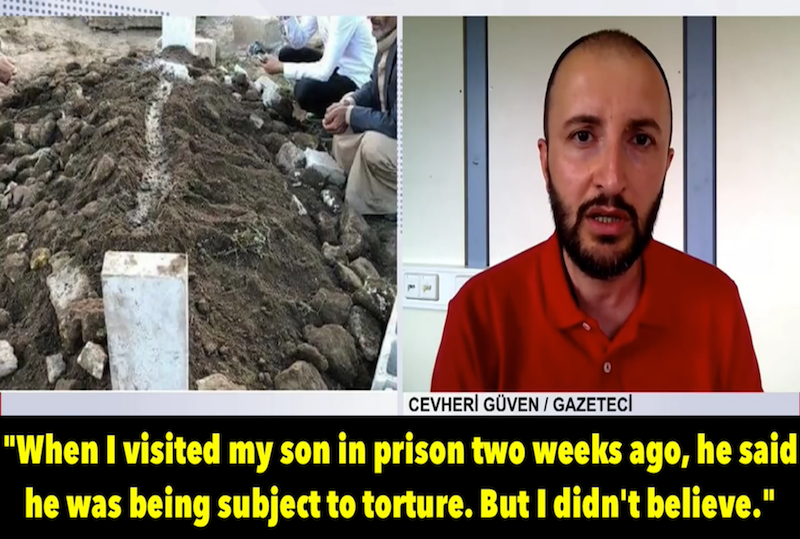 Journalist Cevheri Güven shared information he received from Özyavuz’s family members during an interview with Bold Media and stated that the cause of death was the torture he was subjected to in pretrial detention. According to Güven, Özyavuz’s family members saw traces of severe torture on his body when they came to claim his remains in İstanbul. Güven also said Özyavuz’s family was at first given three different explanations by the police about the cause of death and then was threatened by police not to reveal the cause of death of the young doctor. “Father Özyavuz has said: ‘They can kill us, too. There is no state here,’” Güven quoted the father as saying. Özyavuz was detained and subsequently jailed last month for using the ByLock smart phone application, which is considered by Turkish authorities to be a sign of a follower of the Gülen movement. Dr. Özyavuz was a successful radiologist who studied at the prestigious Cerrahpaşa Medical Faculty of İstanbul University, graduated with honors and came third in the national Exam on Medical Expertise (TUS). Years ago, Özyavuz’s extraordinary success in a university entrance exam was also extensively covered by the Turkish media since he was the child of a poor farm family with seven children in Turkey’s southeastern Şanlıurfa province. Ömer Faruk Gergerlioğlu, one of Turkey’s most prominent human rights defenders and a medical doctor, shared the success story of Özyavuz from his Twitter account and condemned the persecution of innocent people by the Turkish government. Turkish authorities believe ByLock is a communication tool among alleged followers of the Gülen movement. Tens of thousands of people, including civil servants, police officers, military officers, businessmen and even housewives, have either been dismissed or arrested for using ByLock since a failed coup attempt in July 2016. Suspicious deaths have also taken place beyond prison walls amid psychological pressure and threats of imminent imprisonment and torture, sometimes following the release of suspects or just before their detention. SCF has compiled 113 cases of suspicious deaths and suicides in Turkey in a list in a searchable database format. Turkey survived a military coup attempt on July 15, 2016 that killed 249 people. Immediately after the putsch, the Justice and Development Party (AK Party) government along with President Recep Tayyip Erdoğan pinned the blame on the Gülen movement.